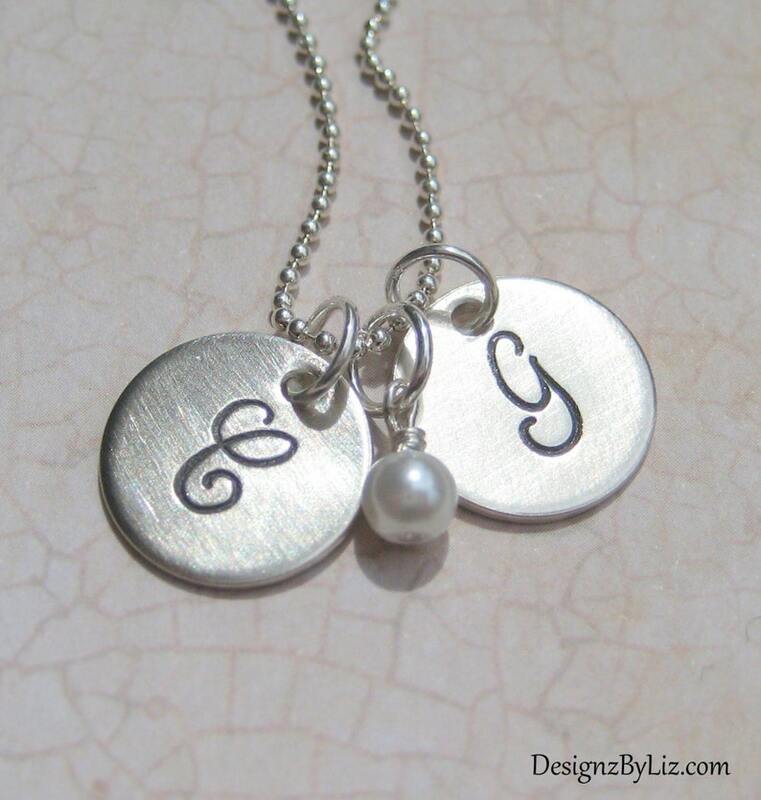 This elegant necklace is for mothers and/or grandmothers. It comes with a darling fresh water pearl (or any bead you prefer) and 2 sterling silver discs, that have been hand stamped with the initial of your choice, in this beautiful monogram font. All of this dangles from a sterling silver ball chain with a spring ring clasp.